We have some great news to kickstart 2018. All throughout December, we were running our “Host the most” competition among teachers of awesome. The rules were simple: just host as many games and create as many Kahoot! challenges as possible! 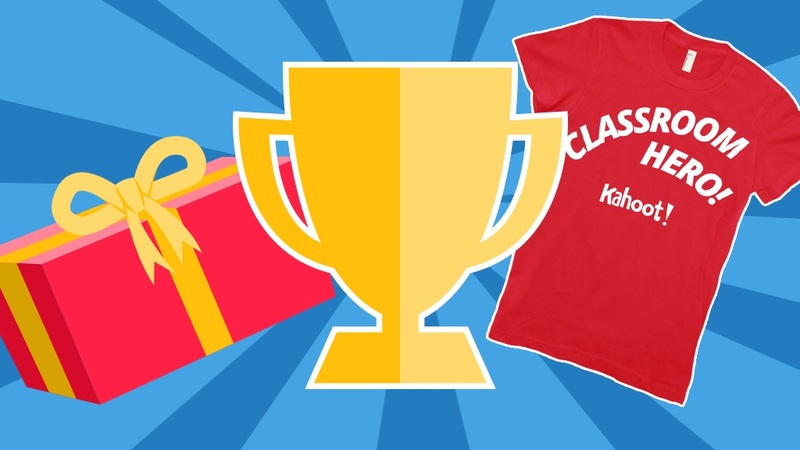 Any teacher could join and compete for our branded “Classroom hero” t-shirts for their entire class. 31 days, almost 17K participants and an amazing amount of kahoots played – we’d say these numbers are mind blowing, and we’re happy so many of you joined the competition! But one question remains, who is the winner? Tada! With an astounding total of 170+ games hosted and challenges assigned, Jim Shields is the winner! Jim teaches history in New Mexico to 10th and 11th graders over 6 different classes. He is using Kahoot! as a formative assessment tool and as a way to prepare his students for mid-terms. “I created a number of kahoots for both my 10th grade world history students and 11th grade U.S. history students. I selected Kahoot! as a classroom tool after looking over a number of review platforms, as I felt it had the best features for my students. Kahoot! was employed as a simple formative assessment system in all six of my history classes. Thank you to all teachers of awesome who participated! Stay tuned for more competitions this year where you’ll get another chance to win some of our branded swag. Kickstart the semester with a 2017 review kahoot! Missed Kahoot!’ing while school was off? You can find some awesome games to break the ice in our “Holiday picks” collection. Start the semester off with a fun quiz! Surprise or reward your students with the “Year in Review” kahoots from the collection. How well do they remember top news of 2017, or maybe they remember top music hits better? You can even make it into a homework competition by challenging students to play the kahoot at home!